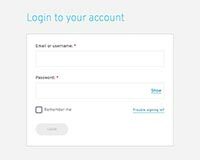 Once you're logged in to the Bandwidth Dashboard, the first thing you'll want to do to ensure success is to set up your initial Sub-Accounts and Locations. The instructions for that setup are provided below. *Please note that both the Sub-Accounts (Sites) and Locations (Sip Peers) are not intended to grow in an unbounded manner. We do not recommend moving beyond 50 Sub-Accounts, or 250 total Locations. System responsiveness and/or network issues may result if these thresholds are exceeded. 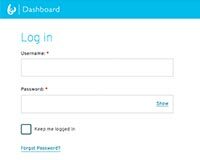 You can think of Sub-Accounts, also known as Sites, as the Filing Cabinet of the Bandwidth Dashboard. 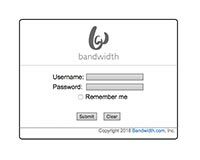 Sub-Accounts contain a name that will appear in a list on the Home page on the Bandwidth Dashboard. You can organize your Sub-Accounts as end-user based, location-based, or most any other method preferred. Each Sub-Account can have as many locations as needed. You can think of Locations, as the file folders in which your telephone numbers reside. Your Locations will house your Routing IP's for Origination, Flat Rate Termination and Messaging, if subscribed to this feature. Only 10 origination and termination IP addresses/DNS hosts may be provisioned for each single Location. Locations also allow provisioning for SMS hosts, if subscribed to this feature. Fill in the required information, such as a name, address and address type in the form presented and click Submit. Sub-Account: Select a sub-account for which the Location should coincide. Location Name: Name of the location. A name is required, but can be anything that makes sense to the location provisioning. Description: An optional field where a description of this location can be entered if needed. Set as Default: Select yes if all active numbers should default to this location for call routing. CNAM Options: If you subscribe to the inbound CNAM per number feature, mark this checkbox to make 'CNAM Display' default to On. Leave the checkbox unmarked to make 'CNAM Display' default to Off. Mark the 'Enforced' checkbox to globally apply this setting. Sequential Failover: Traffic will failover on the IPs in the order in which they are entered. Random: The system will failover to the IPs in a random order. Termination Hosts: If you subscribe to our Flat Rate Termination product, then enter your IPs for routing outbound calls in this section. If you subscribe to any of our other Termination products, your whitelist is housed in a separate database here at Bandwidth. Note: To notify Bandwidth that you need to add additional Termination IPs, please open a ticket with Account Support. We’ll be happy to take care of that for you. SMS Hosts: If you’ve subscribed to Messaging services with Bandwidth, the SMS IP addresses may be entered here. When you are finished, click ‘Submit’. Now that you’ve set up your Sub-Accounts, and added your first Location, we recommend that you order a telephone number from Bandwidth’s inventory to ensure that routing is working as intended.